Thirty years ago, “Take It Lyte” and the more popular “I Cram to Understand U” were how most hip-hop lovers were introduced to MC Lyte. By the time her album Lyte as a Rock dropped the next year, in 1988, there was no debating whether MC Lyte was a bona fide emcee. She was actually an elite one. A year later, she told no lies when she boasted, “I’m the dopest female that you’ve heard thus far,” on the classic “Cha Cha Cha” from her sophomore album, Eyes on This. And almost like a hip-hop version of the Wonder Woman story, it was an island of female emcees (Sha-Rock from the pioneering Funky 4 + 1, Roxanne Shanté of “Roxanne, Roxanne” fame and the early hip-hop duo Sequence) who initially inspired her. 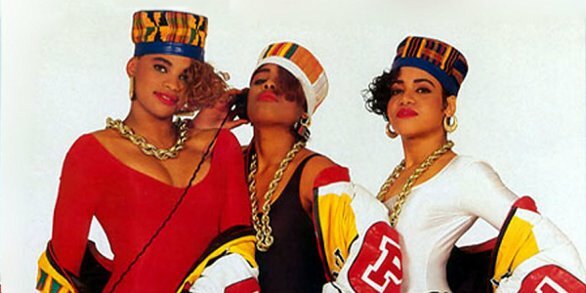 But it was two queens in particular, Salt-N-Pepa, who showed her she could really do it, too, even though her brothers, who formed Audio Two, were also instrumental in her career. And she has. She is the first solo female rapper nominated for a Grammy. From 2011 to 2013, she served as the first black female president of the Los Angeles chapter of the Recording Academy, which hands out the Grammy Awards. She has also been a music supervisor for such shows as The Michael Vick Project and Tiny & Toya. As founder of the Hip Hop Sisters Network, she has given out thousands and thousands of dollars in scholarship money. For nearly 20 years she has run Sunni Gyrl Inc., her own management company. She’s represented on the small screen, too, with roles on TV series, like Half & Half, going back to the early aughts. Next month she makes her debut as the Professor on USA’s highly rated drug-trafficking drama Queen of the South, which began its second season Thursday. “She is cold-blooded,” she says of the role, for which she auditioned. “She was a professor and she holds many degrees, and she works alongside Devin, who is played by Jamie Hector [of The Wire and Bosch fame]. “She’s a bit violent,” she continues. “I’m not violent, but it’s certainly an interesting character to play, and the cast is lovely and warm and amazing. I’ve had a really good time on the show, and I hope she lives to play again in season 3.” For the new Irv Gotti BET series Tales, in which each episode is the dramatization of a rap song, she doesn’t stray far from her roots. When it comes to music, she’s never forgotten where she comes from, and today she continues to record and, just as important, support other female rappers, even at a time when they are no longer the consistent fixture they once were. For Lyte, however, the absence of female emcees is deeper than it appears. In some ways, it’s systemic. But the Brooklyn, N.Y., emcee, who has a deep Harlem allegiance, also acknowledges that women have tried to buck that tendency.